We mainly buffed mobbing for all class and dps for paladin. We mainly buffed damage for bosses. 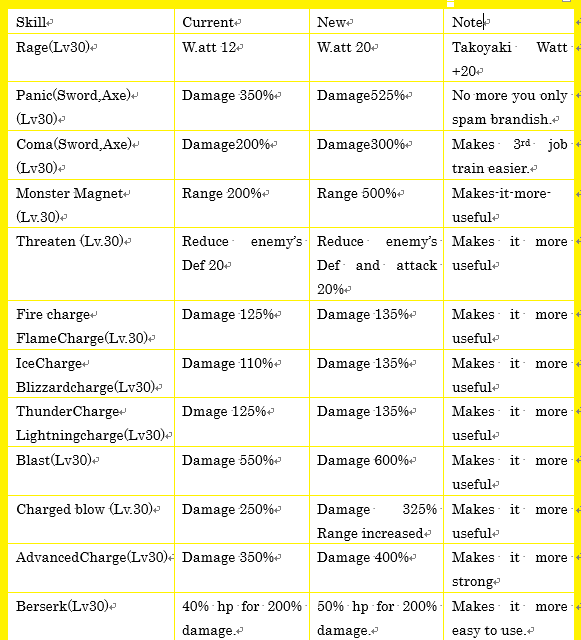 Shining ray(Lv30) Damage and range buffed but MP cost nerfed. 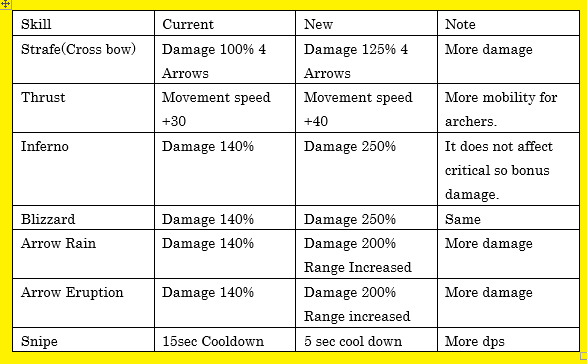 We mainly buffed bandit's damage. 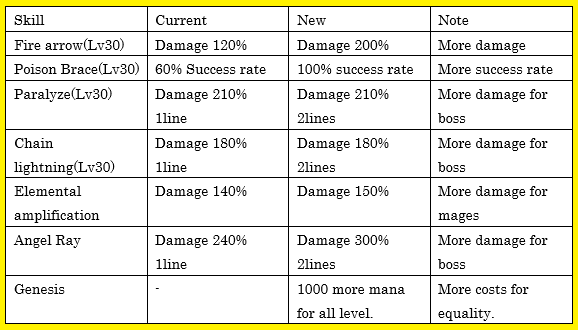 We mainly buffed Buccaneer's damage. We thank olden skypia players!